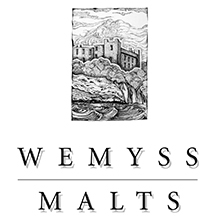 Wemyss Malts names its blended malts after their flavour characteristics, so The Hive should appeal to heather-honey fans. 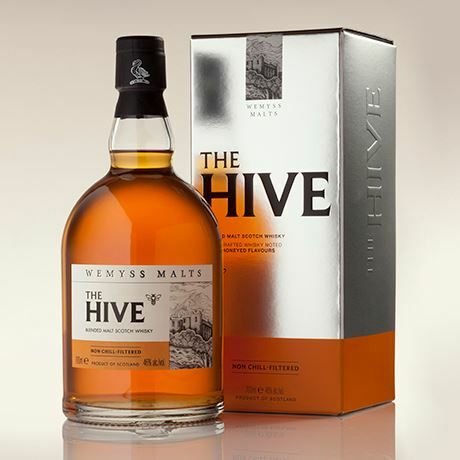 One of Wemyss Malts’ signature blended malts, The Hive is based around a signature malt from Speyside blended with at least 16 others from the Highlands, Lowlands and Islay. As with other whiskies in Wemyss’ blended malt range, The Hive’s name was chosen to reflect the character of the liquid – waxy, sweet and honeyed. It is currently available as a no-age-statement expression bottled at 46% abv, as well as a Batch Strength limited edition. The Hive is one of the three blended malt brands produced by Fife-based Wemyss Malts, owned by one of Scotland’s oldest trading families. The Hive was launched in 2011 (replacing Smooth Gentleman in the range), as a 12-year-old bottled at 40% abv. It was later followed by an 8-year-old at the same strength, though in 2015 the younger bottling was replaced by a no-age-statement (NAS) expression. It was joined in 2016 by the first in a new series of Batch Strength limited editions (Batch 001), of which 6,000 bottles were produced at 54.5% abv. A blended malt for peat reek fans, but it’s not an all-Islay affair. This limited edition blended malt from Wemyss lives up to its name in flavour. A blended Scotch with a high malt content named after a Wemyss family ancestor.